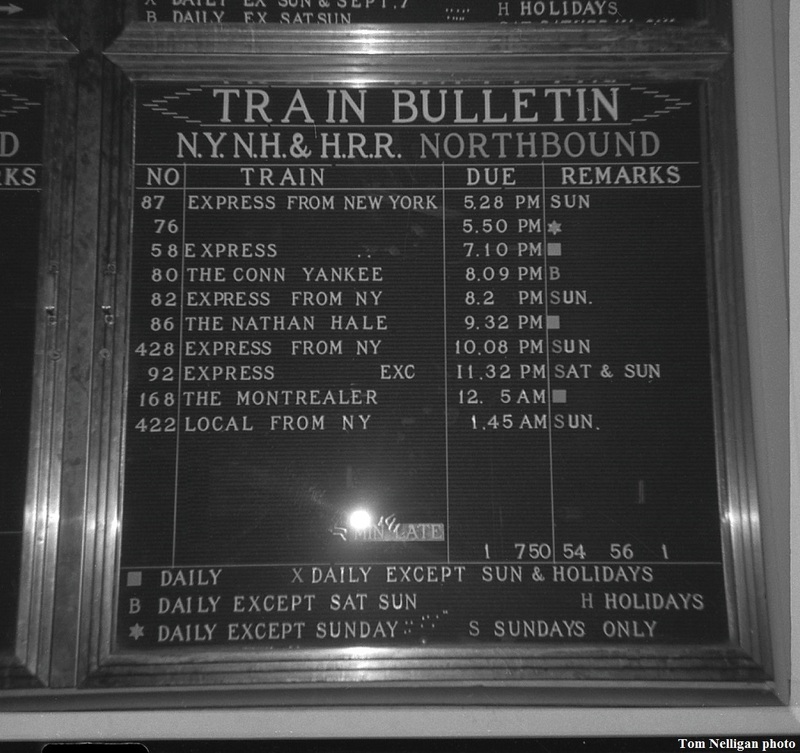 This was one of the New Haven's schedule boards at Springfield Union Station in the summer of 1966. I had arrived on a train from New Haven and in retrospect I wish I had shot a lot more photos there that morning! Photographed by Tom Nelligan, June, 1966. Added to the photo archive by Tom Nelligan, August 28, 2017.